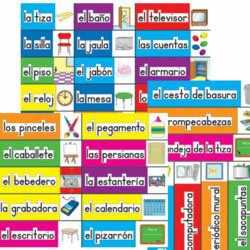 Kaplan supports bilingual learning through its big books, magnetic foam alphabet boards, and photo cards. Kaplan also provides the ELSA assessment tool, which is unique product that allows teachers to assess young learner's literacy skills in storybook form. 3 years & up. 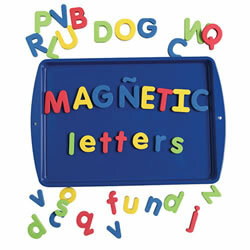 Support bilingual learners with this unique set of magnetic foam letters! 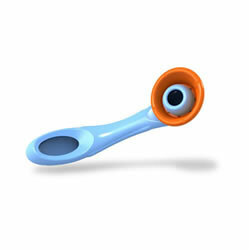 Includes Spanish accent marks (tildes) to assist with correct pronunciation. Each set includes 54 pieces. 1 3/4" high. Pan not included. 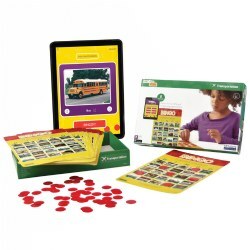 Help build the ELL student's vocabulary and communication skills with these 56 illustrated word cards of classroom items. Pair with the English version for bilingual programs. 3 years & up. How do you say "Hello" in Japanese? 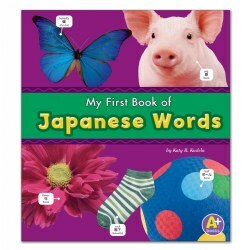 Explore the pages of this Japanese/English picture dictionary to learn new words and phrases. Colorful photographs and simple labels make learning Japnaese easy. Paperback. 32 pages. PreK - Grade 4. 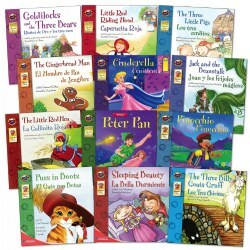 This classical book set will have children eagerly continuing to read to see what will happen next. 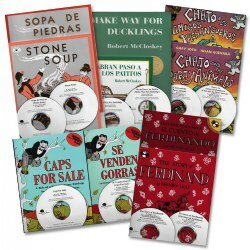 They come in bilingual format and will spark their imagination page after page, inspiring the enjoyment of reading.